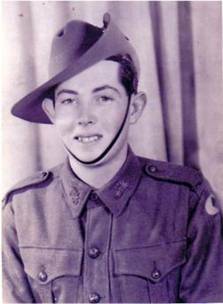 On 8th December 1922, Joseph William West was born at Toowoomba, Queensland. He left his home, parents and four sisters about the age of 12 and went to live and work on his grandmother’s farm at Helidon, Queensland. He was still on the farm, when on 28 July 1940; he traveled to Toowoomba to enlist in the Army. As he was underage he needed parental consent to enlist, which his father was happy to provide. This fresh faced youngster, together with many others in his position soon found themselves members of the 2/26th Infantry Battalion, from where Joe was selected as a member of the Battalion Mortar Platoon. He made many friendships within the Battalion, especially with other members of the Mortar Platoon and spent many hours with these friends including the Eames brothers - Bill and Eric, and another fresh faced youth named Billy Smith. This group of friends spent many hours exploring the delights of Singapore together. The Japanese declaration of War brought many changes to those in Singapore, the main one being that these fresh faced young men were now to become fighting warriors. The realities of war and its consequences first faced Joe, at the Mawai River, Johore on 31st December 1941. Bill Eames who was not a swimmer fell out of a canoe whilst wearing full army combat gear. Joe not only fashioned a coffin from an unused ammunition box, but made the cross which marked Bill’s final resting place. The second reality occurred less than four weeks later, when Billy Smith was wounded in action at Ayer Hitam Road on 26 January 1942. Rushed to the hospital, surgeons amputated his leg, but he died while still on the table. Joe and various other friends arrived at the hospital just minutes later. After capitulation, Joe worked at various jobs around Singapore, with the most memorable being the wharfs where some times they were able to scrounge a little extra food or an item or two that could be used for trading. While work on the wharves was hard and tiring it could in no way compare to what was to come, when in April 1943 he left Singapore as a member of “F” Force. Ulcers, malaria and beri beri were his most constant companions and he always gave credit and thanks to Dr. Hendry, a Dutch doctor who saved his ulcerated leg from amputation whilst at Sonkurai Camp. 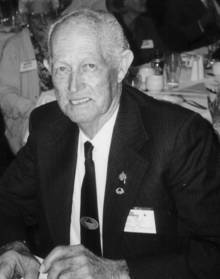 He arrived back in Brisbane aboard the Hospital Ship Wanganella on 11 October 1945, after which he convalesced at Burleigh Heads, finally being discharged from the Army on 3rd January 1946. Post war, he undertook an apprentice ship as a machinist at a Furniture Factory in an outer Brisbane suburb. As well as working on the machines he also tried his hand at various other jobs in the factory. He purchased a block of land and started the task of building his own home, in which he was living prior to his marriage to Joan in about 1952. To their union two sons, Shane & Kerry were born. Meanwhile in 1946 a group of 2/26 Battalion members got together and decided to form an Association. Joe was the first Secretary and continued in this position until the early 2000’s. when he acquired an assistant, until his retirement from the position about 2004. Until this time he not only kept the Associations minutes, he single handedly arranged the twice yearly reunions, and sent out the invitations which he had typed on an old Underwood typewriter. As time passed he decided to go into furniture building for himself. His boss offered him land in the same suburb in which Joe had built his home, and helped him establish himself and a partner as makers of fine cedar furniture. Some of this beautiful red cedar furniture can be seen in his and Joan’s home as he gradually replaced all the furniture with carved red cedar pieces. Even the timber around windows and doors is red cedar. Eventually he purchased his partners share of the business in which he continued to work until he reached retiring age of 65. Retirement did not mean sitting around the house twiddling his thumbs, as he played golf and re-upholstered and refurbished wheel chairs and other equipment for hospitals and nursing homes, made and upholstered seating for caravans and boats or any other jobs his friends would present to him. From the time he retired he had others running the business, but kept a very tight check on the factory going-ons, and would often spend 2 or 3 days a week down there. He sold the business just weeks before his death. .
Joe had one other love – his old Holden Station Wagon, on which he lavished tender loving care. No dust or dirt was allowed to mar herpaintwork and her motor ran to perfection. Kerry proudly chauffeured Joan and other family members to Joe’s funeral in her. No important event concerning Joe would be complete without Joes’ baby being there. During the last several years of his life Joe underwent many skin grafts, blood transfusions and hospital stays as he gallantly battled blood cancer. Joseph William West, a man with a heart as big as himself, passed away at home during the night of 15th October 2011.